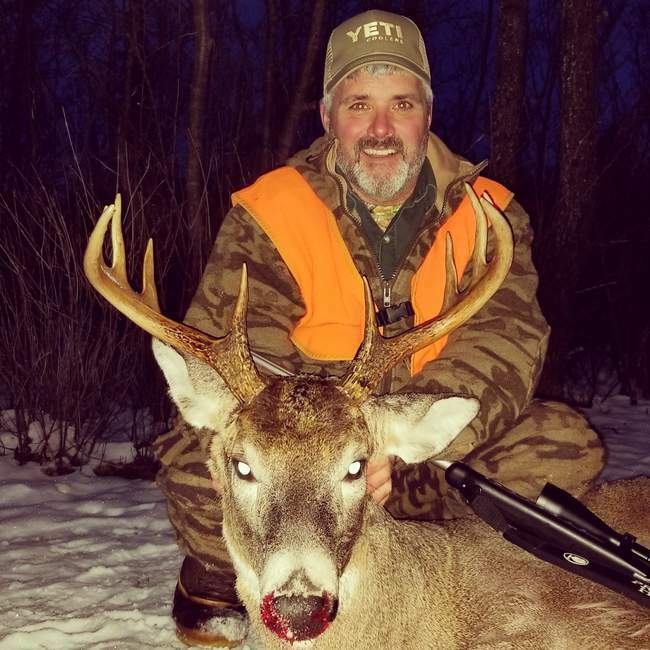 Hornady.com » Team Hornady » Scrapbook » Scrapbook Archive » Great Hunt! Seen this deer on the second day of Michigan firearm season, couldn't get a good kill shot so I let him walk. Two days later a couple of does showed up and low and behold he was right on them. 100 yard shot with your 280 Precision Hunter ammo out of my Thompson Pro Hunter dropped him in his tracks. Thanks again!